Before I was diagnosed coeliac, I used to be a regular at Wagamama. I love the flavours and freshness of oriental food and it was always a real treat. I went in once after my diagnosis and had such a disappointing experience I hadn’t been back since. It was one of those situations where well meaning restaurants say they can ‘tailor’ dishes to make them gluten free, but in reality, it means you miss out on the most flavoursome bits and end up with something a bit bland. So I was very excited to find out that Wagamama has launched a gluten free menu! You can take a look on their website – it’s very short compared to the main menu but there are some nice things to choose from. And it’s a separate gluten free menu in the restaurant, so at least you don’t have to read through all the things you used to have! There is, of course, the usual disclaimer about ‘no guarantee… etc.’ but the statement also says Wagamama will make every effort to avoid cross contamination. And frankly, that’s good enough for me. I was impressed when we turned up at the Sheffield branch in Leopold Square and was told we would have to order from one particular server who was in charge of all allergen ordering. It certainly appeared that some thought has gone into the offer and how it would be communicated, which is great. We chose a couple of starters to share: lollipop prawn kushiyaki and duck lettuce wraps. The prawns were big and juicy, with a punchy lemongrass, lime and chilli marinade. The duck ‘wraps’ were a touch simple really – crispy duck on a lettuce leaf with cucumber and spring onion. But I was given some gluten free soy sauce to drizzle on or dip into. For main course, I had a pad Thai salad, which was very good. This was choc full of prawns and chicken with leaves, mange-tout, carrot, tomatoes and some tangy pickled beetroot. It came with a nuoc cham and ginger miso dressing and some chopped peanuts to add in, so this was bursting with flavour. I really enjoyed it. Other offerings on the new gluten free menu include a lovely looking seared nuoc cham tuna dish with quinoa and kale, and a few noodle soup options: ramen, which is a light chicken broth and itame, which is spicy coconut and lemongrass. Both come with chicken or prawn options, and the itame can be done with tofu. That’s it for savoury options, other than edamame. There are a variety of ice creams and sorbets including the very tempting chocolate and shichimi ice cream (I’m not sure exactly what it is but it comes with caramelised sesame seeds! ), coconut reika, and lemongrass and lime sorbet. 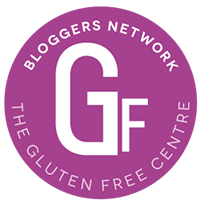 Tags: GFsheff, gluten free menu, gluten free restaurant, Gluten free restaurant review, gluten free review, Gluten free Sheffield, Wagamama gluten free. Bookmark the permalink.